The United States said that Kurds are now the only force capable of launching an offensive on the Syrian city of Raqqa, the de-facto capital of the Daesh caliphate. At the same time, the involvement of Kurdish forces in the operation could also indicate Washington’s support for the federalization of Syria. Raqqa became the Daesh terror group's capital in Syria after it was captured in 2014. The other main city under Daesh control is Mosul in Iraq, where Iraqi forces are also preparing an operation to retake the city. The Pentagon’s reliance on Kurds to liberate Raqqa may indicate that the US is actually ready to support the federalization of Syria, said Alexander Babakov, a member of the Foreign Affairs Committee at the upper house of the Russian parliament. "It would be hard to imagine that American plans on Raqqa are aimed only to bring peace to Syria. It cannot be ruled out by using Kurds to liberate the city from Daesh the US wants to support the federalization of Syria, including establishing an autonomous Kurdish region," Babakov told the Russian newspaper Izvestia. Earlier, Stephen Townsend, commander of US forces in Iraq and Syria, said that the Kurdish Syrian Democratic Forces (SDF) would be the backbone of the Raqqa offensive. Pentagon chief Ashton Carter earlier announced that an offensive in Raqqa would start in weeks. However, the US plans have faced opposition from Turkey. President Recep Tayyip Erdogan said that the SDF should not be involved in a ground operation. The SDF is an alliance of militias led by the Syrian Kurdish People's Protection Units (YPG). Ankara considers the YPG to be a terrorist group. However, it has failed to persuade its allies against cooperating with the Kurds in Syria. 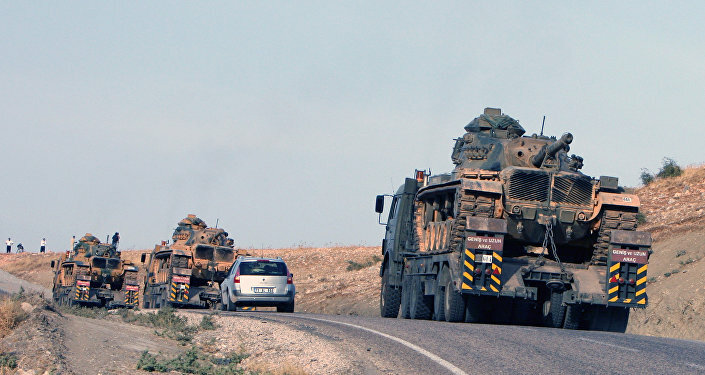 Ankara even said it was ready to provide its own forces for the operation. "The Americans have been trying for a long time to persuade Turkey to work with Kurdish forces in the operation to liberate Raqqa. However, it's impossible. Turkey won't agree to that, given that Ankara regularly calls the Syrian Kurdish PYD 'an offshoot of the PKK,'" political analyst Serhat Erkmen, director of the Center of Middle Eastern Strategic Studies (ORSAM) at Istanbul-based 21st Century Turkey Institute, told Sputnik Turkiye. Co-chair of the Democratic Union Party (PYD) Salih Muslim stressed that the liberations of Raqqa was the priority goal for Kurds. In an exclusive interview with Sputnik Turkiye in May, Muslim emphasized that the city was not only Daesh's political capital, but also a critically important military and logistical center for the terrorists. 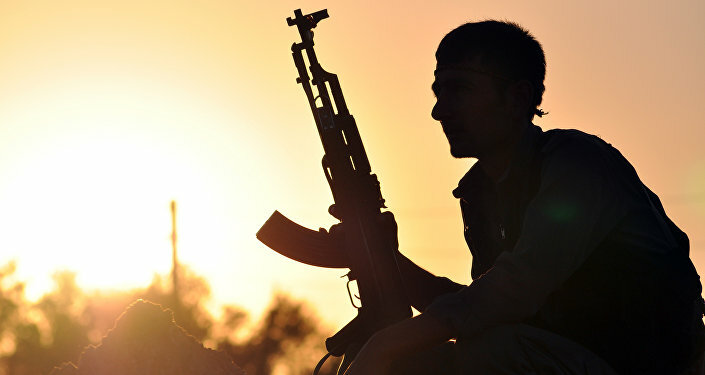 "This is a constant threat to all of Rojava [a Kurdish region in northern Syria]. Therefore, the decisive liberation of Raqqa from the jihadists is vitally important for the Rojava. The goal of this operation is to eliminate the threat emanating from the area. The operation had been planned for long time," he said. By placing bets on the Kurds in this war, Washington has several goals at the same time, Syrian political analyst Taleb Zayfa told Izvestia. "First of all, the US is mounting pressure on Turkey, thus trying to prevent further rapprochement between Ankara and Moscow. At the same time, Washington understands that sooner or later the Syrian Army will liberate Aleppo. So, the US and its allies want to take control over a different region in Syria. The US wants to have leverage on Damascus and Moscow over a Kurdish autonomy which would also include Raqqa," the expert suggested. Recently, Turkey announced it would expand its military operation in northern Syria to take control over Al-Bab and Manbij. Moscow said it would not oppose Ankara’s counterterrorism efforts in Syria but stressed that Syrian’s territorial integrity should be observed, according to Izvestia. However, the move has faced fierce opposition from the Syrian government as well as Syrian Kurds. 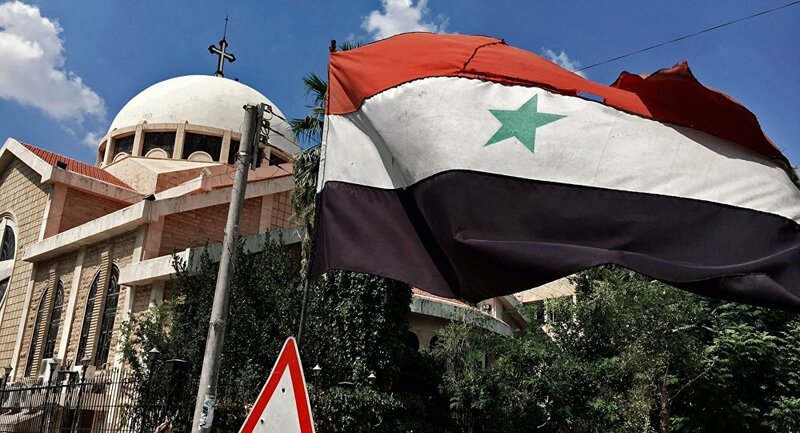 Commenting on the situation, Deputy Chairman of Russia's Federation Council Committee on International Affairs Andrei Klimov underscored that current ultimate goals in Syria are defeating terrorism and preventing the collapse of the country. "All efforts should be focused on fighting terrorism. The Turkish Army is now helping destroy Daesh. But one shouldn’t forget that Syria is a sovereign state. The Turkish military operation was not authorized by Damascus, and this is not good. It’s crucial to preserve the territorial integrity of Syria," Klimov told Izvestia. Experts and commentators have repeatedly pointed out that the main goal of the Euphrates Operation by Turkey was Kurds, not Daesh. "Turkey’s main aim in Syria is not countering Daesh, because Turkey has never fought Daesh… All they say about fighting Islamists is a cover story. Turkey’s real aim is to fight the Kurds," Rodi Osman, the head of Syrian Kurdistan's representative office in Moscow, told Sputnik. "We are ready to clear Manbij from [the Kurdish] terrorists as soon as possible," Erdogan said earlier this week. By advancing on Al-Bab and Manbij, Ankara wants to achieve two priority goals, Ali Maksud, a Syrian retired brigadier general, said. "The first goal is to prevent the Syrian Democratic Forces from advancing further to Afrin, thus undermining plans to establish a Kurdish bel along the Syrian-Turkish border. 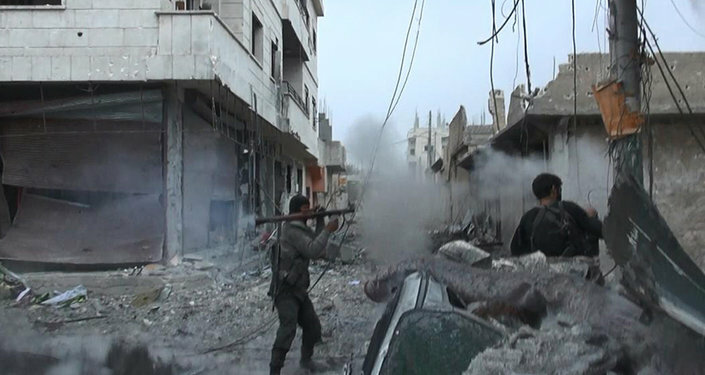 The second goal is to move to Aleppo," Maksud said in an interview with Izvestia.